Before I tackle the ‘Final Thoughts’, I wanted to cover a couple of other features that the Z87-EXPERT and ASUS’ other mainstream boards bring to the table that I haven’t been able to up to this point. First, there’s ‘5X Protection’, consisting of 1) Enhanced DRAM Overcurrent Protection, 2) Precise Power Control, 3) Enhanced ESD Protection, D) Stainless Steel Back I/O and E) 5K-Hour solid caps. All of this comes together sharing the same goal: to protect your hardware, and make sure it lasts as long as possible. ASUS touts being the only motherboard vendor to implement the DRAM overcurrent protection, which uses an onboard polyswitch fuse that prevents damage from a short-circuit. The ESD guards come in the form of small ICs laced around commonly-touched areas that could be subject to a little shock; they help negate the effects of a quick zap. The company’s use of 5K solid caps should also be noted, since some companies tend to skimp there and stick to 2K (10K is typically the max, but they’re only seen on the highest-end motherboards). 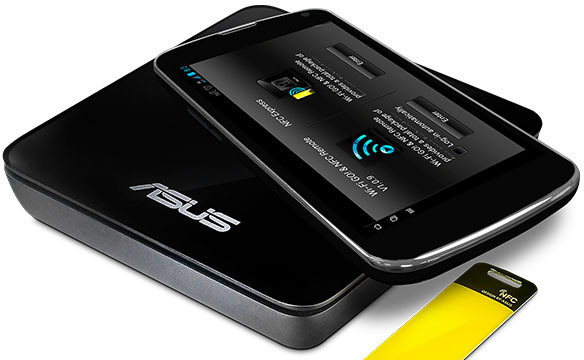 One feature I never expected to see on the desktop is NFC support, but ASUS has that here with Z87. This wireless tech is enabled with a stand-alone product called NFC Express (bundled with the Z87-DELUXE/DUAL), and with it, you can access remote desktop via your mobile, transfer files, quick launch apps, and even log into your PC automatically, simply by placing your NFC-equipped device near the NFC Express. Don’t have an NFC device? An included yellow card can be used instead. On the boards that include a wireless card, the updated Wi-Fi GO! software could prove to be of use. 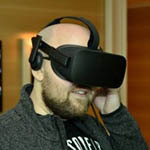 With it, you can share Internet connections, use mobile devices as remote controls or gamepads (using a tablet, for example, you could technically play a game on your PC), manage your digital content, turn your mobile into a PC microphone, and, like the NFC Express, transfer files. It’s worth noting that some of ASUS’ Z87 motherboards include 802.11ac wireless, although the EXPERT does not. In the mainstream line, that can be had with the DELUXE and DELUXE/DUAL board. While it’s a feature that’s not talked about too much, Network iControl deserves a bit of a mention. It’s an all-in-one network solution that allows you to keep all net traffic flowing comfortably. You can prioritize games for online purposes, or your browser, varying their priorities between Normal and High. And, if you wish to have a certain app gain a higher priority at a certain time of day, that can be done, along with the ability to keep track of your overall bandwidth use. With a board this feature-rich, reliable and easy-to-use, it’s not too hard to sum-up. Overall, the Z87-EXPERT delivers on all fronts, and it’s a continuation of what I’ve come to expect from ASUS. The hardware itself is great, from the component choices to the layout of the board, and the EFI remains hard to beat. Those two factors alone make this a well-designed and well-thought-out product, but when you bring the AiSuite III and its collection of tools into things, this becomes a really difficult board to beat. Although Z87 launched in June, this is our first in-depth look at an Z87 board. In the time since then, I’ve put some good time in with an Intel and GIGABYTE board as well (expect a review of GIGABYTE’s Z87X-UD3H soon), and in the end, I still get impressed with what ASUS has continued to do with its motherboards. I vividly remember thinking to myself during the Z77 launch, “What on earth can ASUS possibly add?” Well, as seen in this review, a bunch of things have been, including many EFI features that simply make the overall experience an even better one. If you’re looking to build a new Z87-based PC and are willing to part with $240, the Z87-EXPERT is a fantastic board – I simply can’t say anything bad about it at this point, and I’ve put many hours into testing it (it’ll also become our Z87 testbed for when we test CPUs or other things). That said, because this board is very similar to the Z87-PRO, I’d highly recommend that board if you don’t care about Thunderbolt – it’ll save you $40. There may be some other differences between the two boards that I’m just not seeing (apart from the slight PCIe lane configuration change), but they’d have to be awfully minor. Once again, I feel that ASUS has delivered an outstanding offering with its Z87-EXPERT.